“Combining a warming back-story, an illustrative packaging style, and organic American Pale Ale – Super Jay is born! 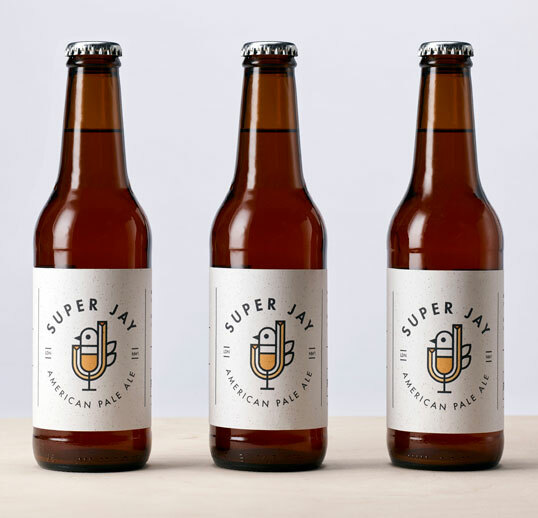 PWW is a strategic design firm based in London and Seattle, and Super Jay is our very own craft beer made from the bottom up. 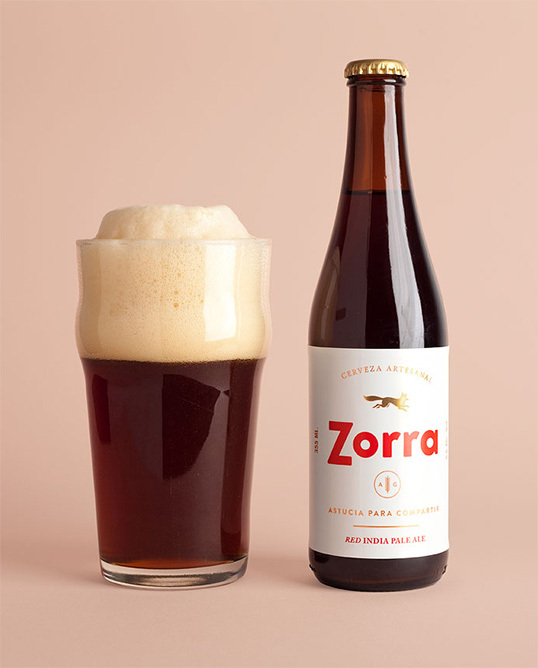 During beer production, the flavour comes first and the brand identity second, and this is what differentiates Super Jay from other craft beers. 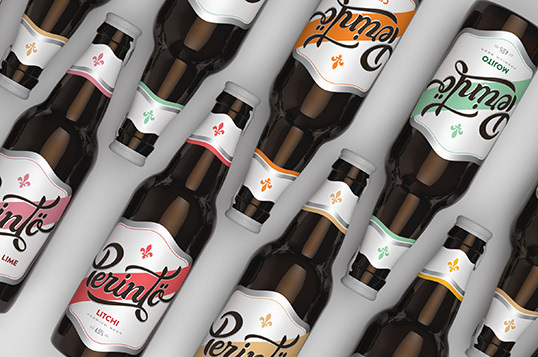 Super Jay’s brand identity firstly combines character and individuality, with the beer itself following on to match. The creation of Super Jay is the result of two back-stories merged together. Beginning with the ‘Jay’ part came from PWW’s Graphic Designer Mark Johnson, growing up near Lake District and surrounded by Jaybirds, this became his focal drawing point and inspiration for Super Jay’s graphic design. Directly linking to the history of beer, Jaybirds colonised Asia, Europe and Africa, to then eventually migrate to North America, which is close to PWW with our second studio based in Seattle. 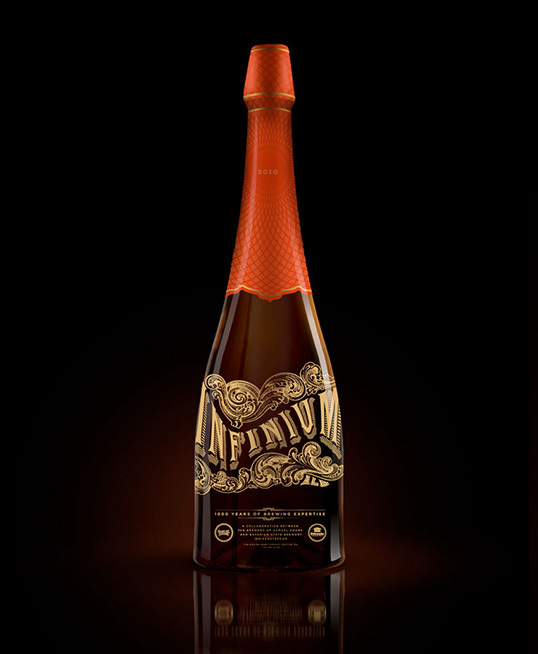 Consequently, beer made the same transition between multiple continents, growing in Europe, to then eventually end up in North America within the leading craft beer movement. “Squad Ink has created a world first where everyday spirit lovers have the ability to customise their own single bottle of vodka and gin or cask of whisky all from their phone. They even get their name on the bottle. 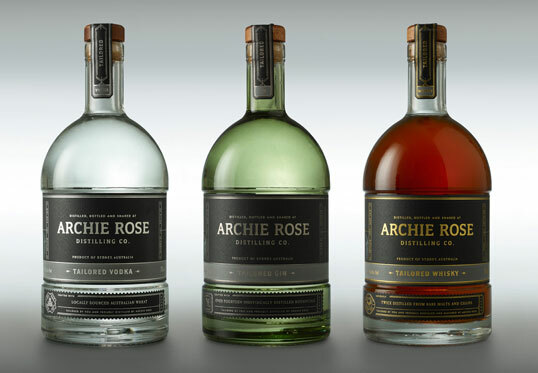 “We’d been working with Archie Rose Distilling Co. for almost 2 years leading up to it’s launch in Rosebery, Sydney, so we knew everything there was to know about their incredible operation. During a workshop we floated the idea, ‘What if you could customise your own spirit online?’ Will Edwards (Founder), pretty much said ‘Yep, we can make this happen’. We had been following the craft craze with Sydney-siders getting right behind hands on projects like, cheese making, producing their own honey and even beer. This was just the beginning but it was time to take it online and offer a unique consumer experience, available to anyone, anywhere, anytime. 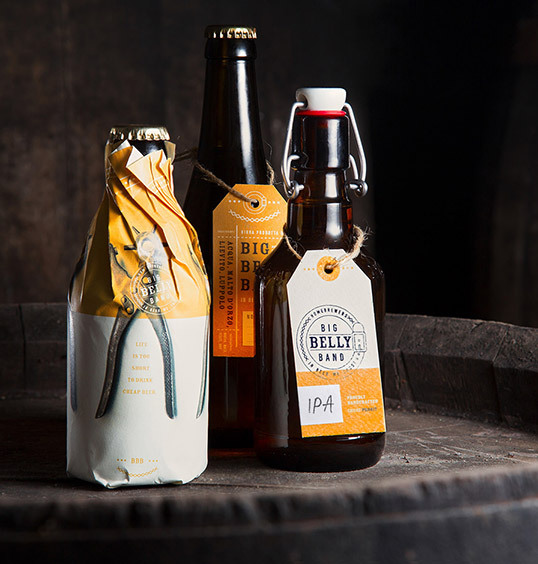 “The work is for a small craft brewery based just outside of Stockholm called Brewing Költur. Being a small start up with obviously no budget they asked for a label that they would be able to update themselves with low design abilities needed. What we came up with was quite simple, and the answer was given to us in their name. 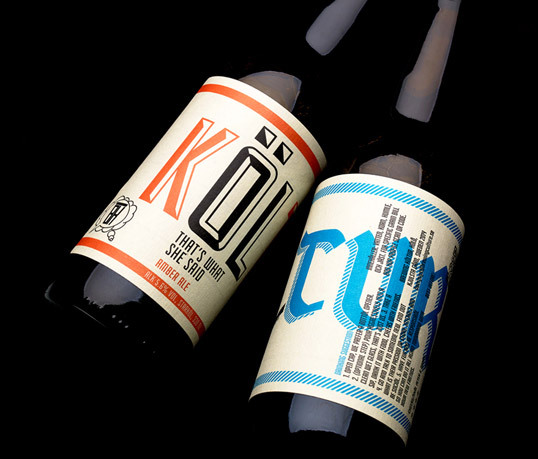 Their name is a play on the words Brewing Culture (Brewing Kultur), they simply changed culture to Költur, ÖL in English means Beer, so this to us defined what the label should look like. 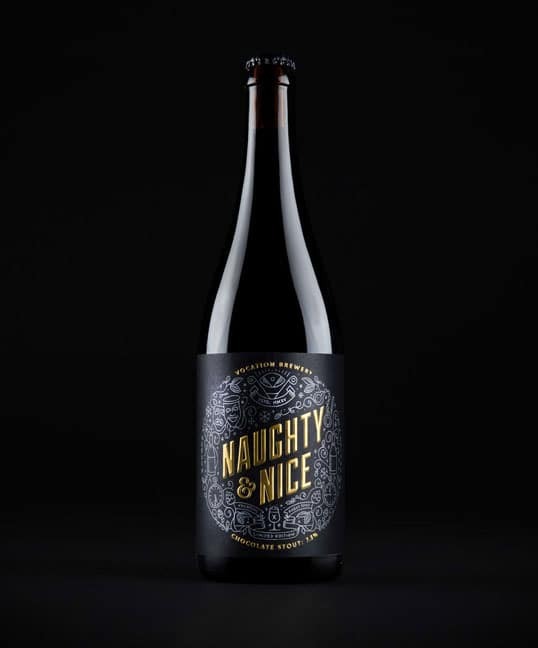 We chose two (well crafted) low cost typefaces to reflect their first two beers, putting emphasis on the work ÖL and placing it on the front of the bottle. Simply stating ‘this is beer’. “During the Spring of 2015, high-end craft brewer O/O Brewing released three new beers: A rich-in-flavor pale ale called Pretty Pale Ale, a saison made with Pilsner Malt and Saaz Hops called Bohemia and Evergreen, is a flavorful IPA inspired by conifer. 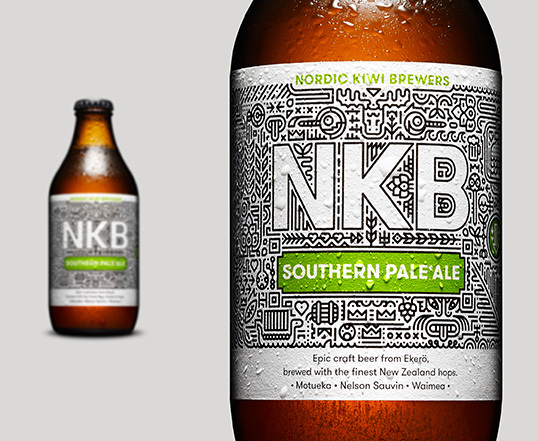 For the packaging of the new beers, we revised and simplified our design system used for previous O/O labels and incorporated a ’pronunciation guide’, to make the somewhat cryptic name easier to understand. 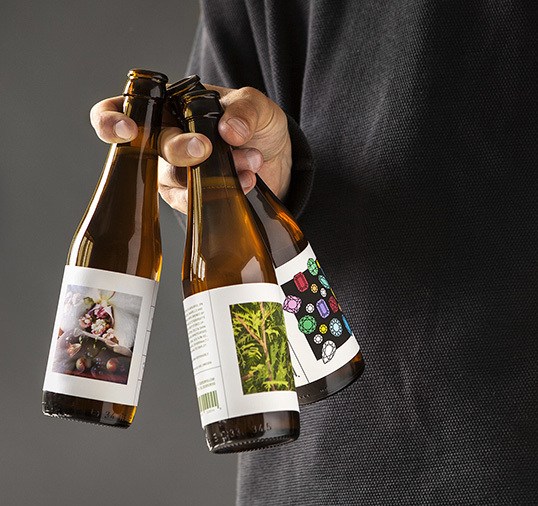 We continued our collaboration with artists and designers, this time teaming up with Fredrik Åkum (Evergreen) and Alexander Palmeståhl (Bohemia), asking them to interpret the beer and featuring the artwork they produced on the labels.